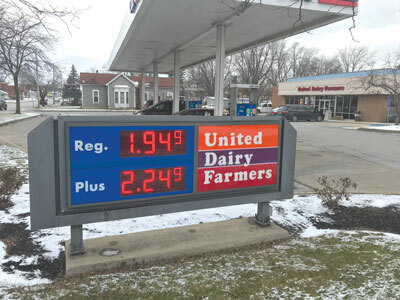 Motorists were happy yesterday as gas prices dropped to $1.94 per gallon, as shown by the above sign at the UDF on Cherry Street Wednesday afternoon. At press time on Thursday, some local stations had dropped prices even lower. According to the U.S. Energy Information Administration, Midwest gas prices are an average of $2.51 per gallon.